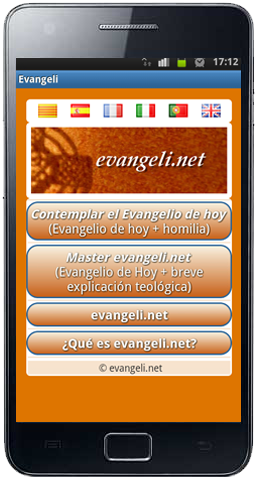 Download the evangeli.net mobile application for free. Choose the option suited for your mobile OS. Read evangeli.net services “Contemplating today’s Gospel“ and “Master·evangeli.net” or access evangeli.net website form this app.